Summer is such a fun time. Our family tried to make sure we made the most of this summer and that we got out and did a lot of active play and exploring. We actually started in the spring in preparing for the Redwoods (which we never ended up getting to do…but that is a long story) so we started hiking every Saturday. But going into the summer, we kept with that. This summer was spent doing all kinds of activities. It was very busy, and we loved (almost) every minute of it. 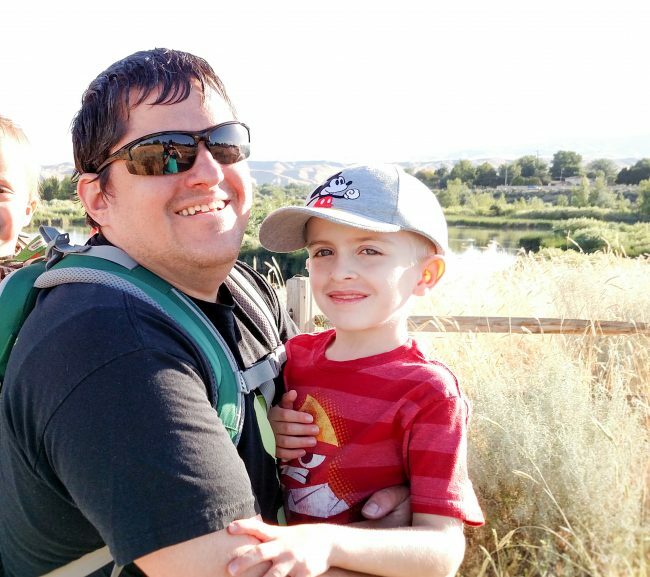 As we head into fall, Mike and I know that we want to keep making sure our family is being active, getting out to play and having adventures. Balanced and active play lays the foundation for a skilled, healthy, resilient and successful society, so we want to make sure to keep active play as a part of our life, even with a busy routine. With school starting up, it is easy to fall into the same rountine and so it is important to have a list of creative ideas to help your family stay active and having fun. Today I want to share with you some of the simple ways you can creative some active play for your little ones, even with a busy schedule. Utilize your weekends. As parents, we often want to sleep in on the weekends. My husband and I would LOVE a little extra sleep. Sadly, we have an active six year old and 2 18 month olds who wake us up by 6:30 every day of the week, Saturday or not. Instead of being lazy around the house wishing we could be back in bed, our family has really enjoyed getting up early (when the kids first wake up), eating a healthy breakfast, and then heading out the door for an adventure. A lot of times we head out to hike a local trail, but some weekends we visit the zoo, a nature center, a trampoline park, or go to local events. 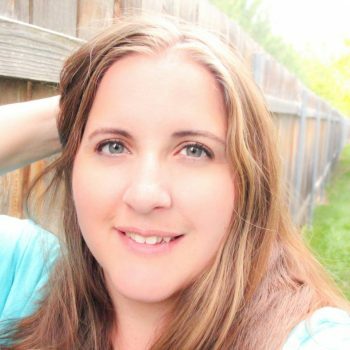 Getting out on the weekends, first thing in the morning usually helps us feel more engerized and bonus– it often wears the kids out and even the 6 year old will sometimes nap later that day. Add some active play to everyday. With school starting, the routine can get pretty hectic. Often times get home just in time to do homework, eat dinner, do a few chores, and go to bed. It can be really hard to get outside to play or go to a park. Add some active play to each day by making some of those everyday chores fun. Have a dance party while dusting. Do a race to see who can pick up their toys the fastest. Even just turning on some music and letting the kids dance while you make dinner is an easy way to get everyone active and having fun without having to stress about what time it is. Walk whenever possible. If you live in walking distance of your child’s school, encourage walking. If you can, walk with them to and from school. We debated this year between putting the Goof in his local school or a school of choice. (He was accepted into the school of choice last minute). In the end, the schools were very comparable in the education he would be receiving, so we decided to stay with our local school because it was within walking distance. It is a 1/2 mile away in our subdivision…so yep, he will be walking to and from school each day (except maybe if it is super cold or really bad weather). BONUS: Since I will be walking with him two times a day, and have to walk back each time, it will also give me 2 miles of walking 5 days a week. When walking, maybe play games on the way home. Teach your child all the games we used to play, “Don’t step on a crack…” Also use this time to talk and explore the neighborhood. Still plan outings. Don’t pack your schedule so full that there is never time for any fun outings. One thing that has helped us have a lot of fun outings is to have our “go to items” that are easy to grab and go do something fun with. This includes a snack, sunscreen and a water bottle. 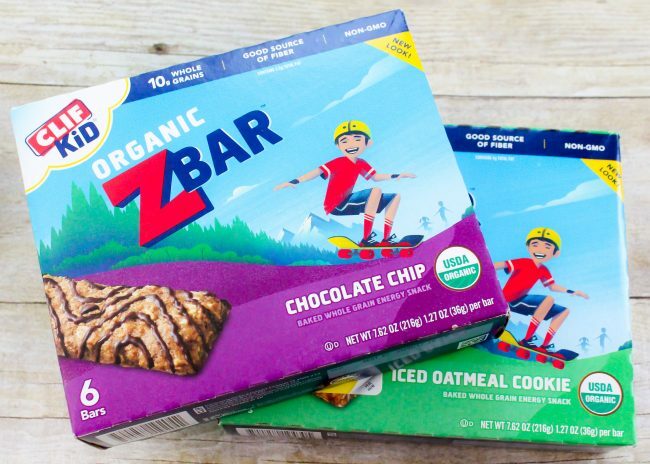 We have really enjoyed having CLIF Kid Zbars® on our outings. CLIF Kid® makes nutritious snacks from organic ingredients that are specially-crafted for kids’ developing taste buds and active lives. 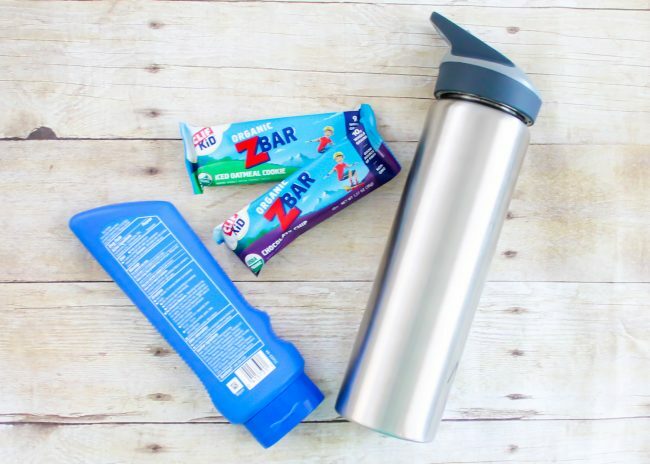 The Goof LOVES the CLIF Kid Zbar® and I love that they are easy to grab and take with us, and that I know they are made with organic ingredients. We also try to plan our outings to be somewhere near places of play. The zoo in our city is located within a park, plus there is a lot of room to be active and play within the zoo itself. Or we know where there are trails that allow the Goof to have some freedom to play and maybe have a safe area to run around a bit. Pursue activities kids love. Maybe your child loves sports, or dance, or theater. Find an activity your child loves and let that be part of your schedule. Even just adding in one activity a week can make a huge difference. 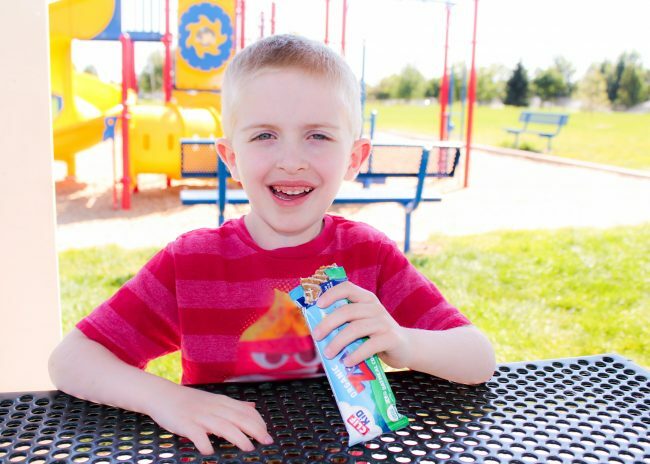 The Goof is excited for his activities this fall, and we are excited that it will give him a chance to do some active play but also teach him some life skills at the same time. When I was a kid I remember going out to play for hours on end. Today, kids often don’t get to go out and experience as much active play. 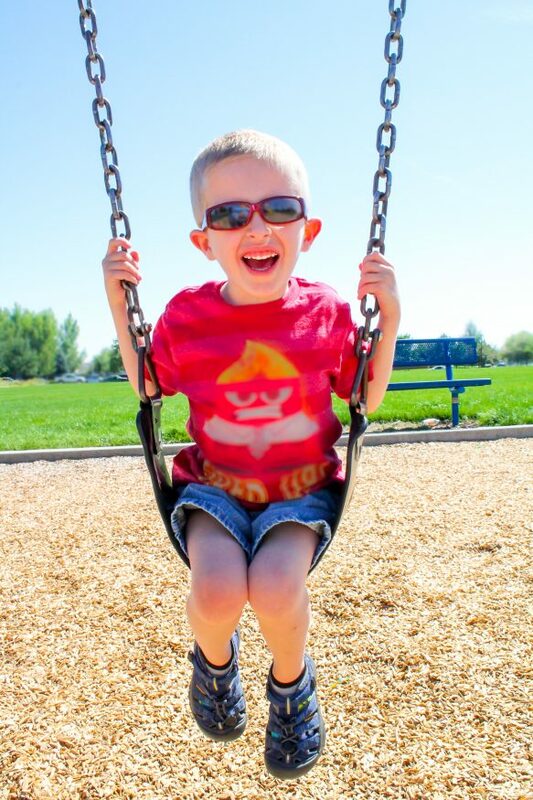 That is why I hope these tips help encourage active play in your children. Check out this great video by CLIF Kid® by CLICKING HERE. How will you encourage your kids to get out and play?